Even his t-shirt got sadder! 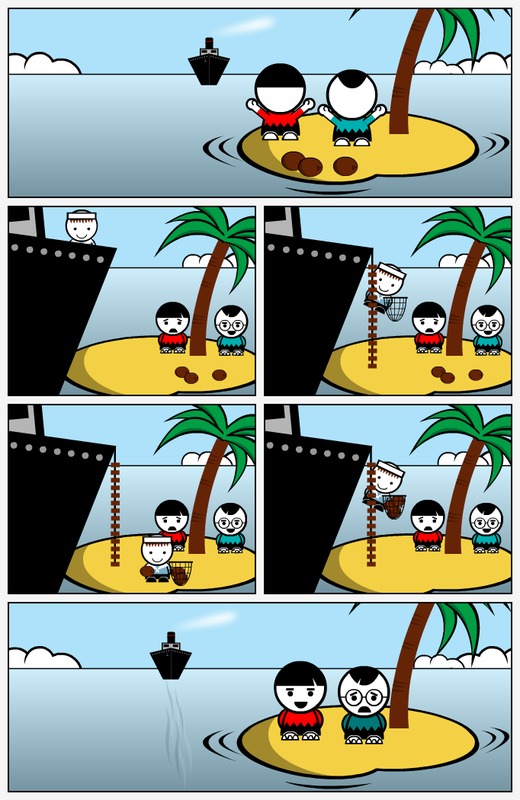 He stole their coconuts! Faved! And why didn't they get on it?